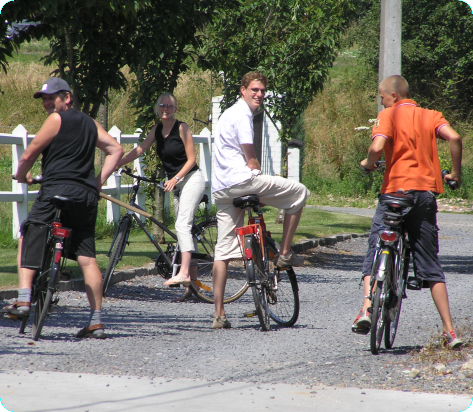 To discover the surroundings of the farm, bikes can be rented in the close-by village of Zonnebeke (delivered to you on the farm). Children can romp around the inner courtyard with the go-carts or have fun on the playground. Small children can enjoy the available outdoor play garden.